Tiffany started this blog on our first trip to Sicily, and I reluctantly wrote a few posts about driving since that was about the only interesting thing I was doing. I’ll admit those are some of my favorite posts, but as we’ve grown the past couple years, I’ve been using this space more as an excuse to learn how to take better photographs, since now photos have to be “good enough” to be worth putting up for the world to see. Granted, I get on average, fifteen views a day, so at that rate it’s going to take a long time for the world to get a look. Regardless, we’ve done a lot of traveling this year, and I’ve taken a lot of photographs. 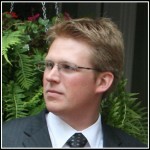 Photos I think are good make it onto this blog in one way or another. The ones I’ve showcased here are the best of those, shots that I am immensely proud of. I figured I’d put the spotlight on them and share my thoughts on why I like them, and make sure I’m not crazy see what everyone else thinks. So, long story short, here are my favorite photos of 2014! 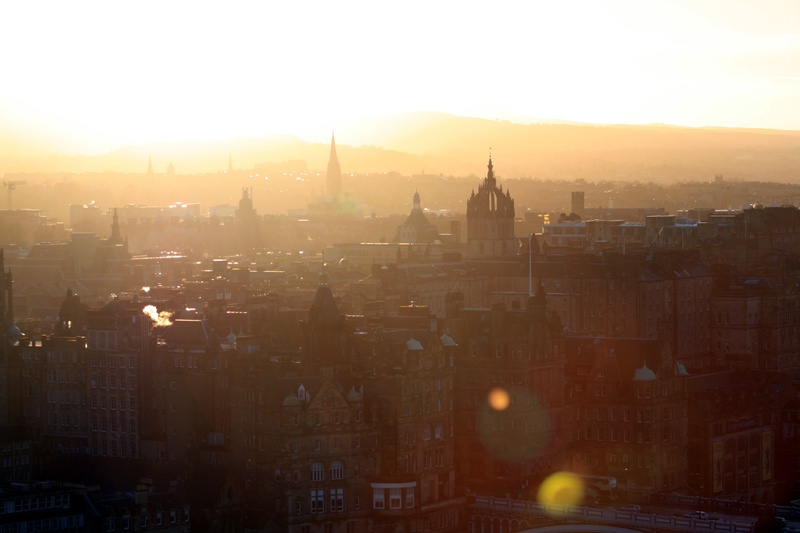 We started 2014 with some friends in Edinburgh, Scotland. This was a fun trip where I learned to love Scotch, and enjoyed a good ribbing by our Scottish concierge (we didn’t have any plans for New Years and he gave us no end of grief for it). It’s hard to find any one photo of those I took that really sums up that experience, but I’ve always been pretty partial to this one. I had to go on quite a hike to get this photo, but research and planning paid off and I found a really cool spot at a really cool time of day. There were a ton of great pictures that came of this outing, but the light and the fog really worked together on this one. Put this one in the “I can’t believe this turned out” category. 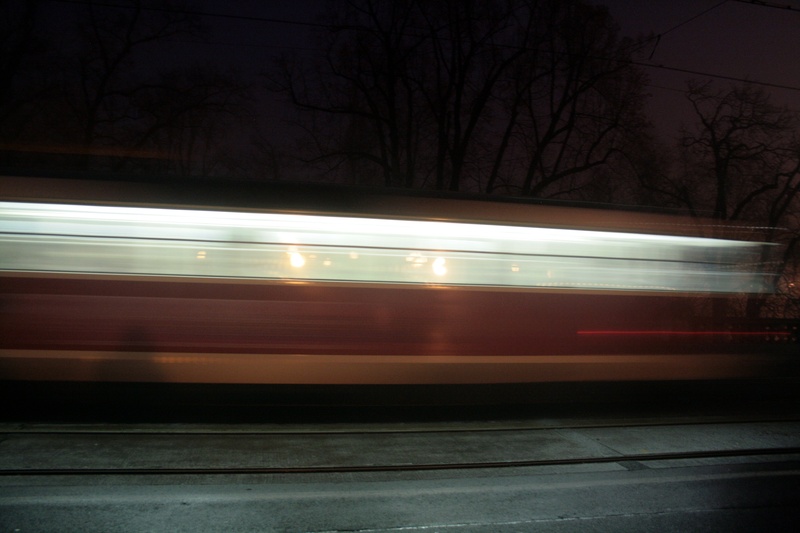 Hand-held, in the dark, long exposure. It came out exactly how I envisoned it, and for me, that’s awfully rare. The trolleys in Prague have a ton of character, though you can’t see any of it in this picture. This is probably my favorite of the favorites. Photos from this trip never actually made it onto the blog. I wrote quite a bit about our first trip to Hawaii last year with friends Linda and Andy, but kept photos from this year’s Kauai visit off the Internet for whatever reason. This little guy was a guest at our hotel the whole time we were there, taking up valuable beach real estate. I really like how this one turned out a little overexposed. It was plenty warm already, but every time I look at this photo I can feel the heat coming off the sand. Another photo from our trip to Kauai. 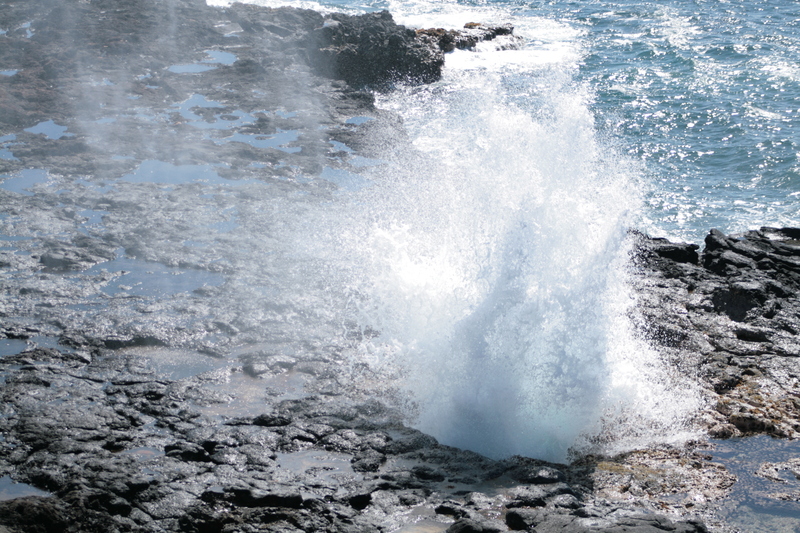 Not far from our resort was a park that featured a spouting horn, like a lava tube that the erosive power of the sea has turned into a water feature. This was all about a short exposure and good timing. I won’t lie to you; it took me many tries to get this one right, but I knew what I was after and I got it. 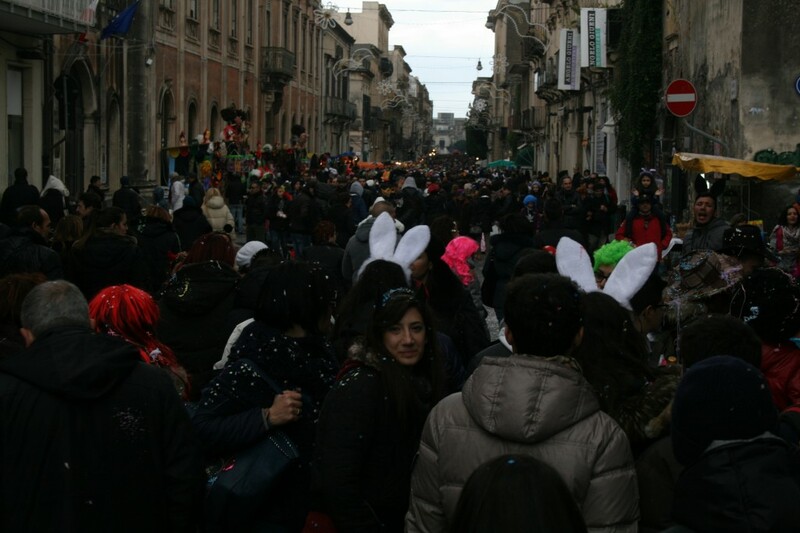 The wild and crazy scenes of Carnevale in Acireale are ones that I will never, ever forget. My initial reaction was something along the lines of “What is all this?”. But once I had a bag of confetti in my hand, suddenly I was a part of the action. I love this photo not only for those memories, but also for the motion and excitement. Most of the photographs I take are landscapes or architecture shots, so this street-style photography stuff is interesting and new to me. I’m usually a little sheepish photographing people, so I’m always delighted when they turn out. 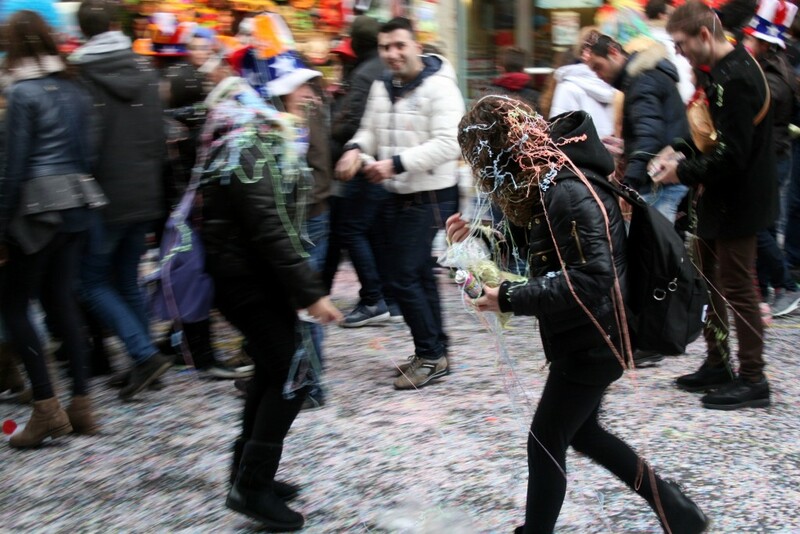 I’ll always love this picture just for my own reaction when I found it while sifting through photographs of Carnevale. The way the whole crowd is looking in no particular direction, except for the one girl just makes me smile. This was a lucky, lucky, lucky picture. 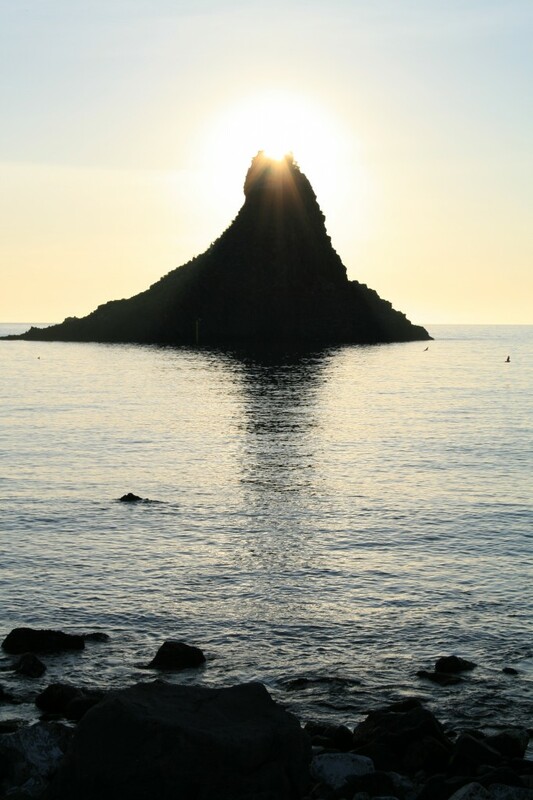 The stacks of rocks just off the shore in Acitrezza have a storied past. Getting to wake up in the morning and watch the sun claw its way over the top of them was a wonderful way to start the day. On this day, the sun happened to climb right over the very top, just right for this picture. Tiffany and I had a free day in Sicily when we were there this past Spring, and decided to get out of town and go take some pictures of the countryside. I was walking back to the car and spotted this view through a rusty old fence, and just took one last shot as an impulse. This one ended up being the best of the bunch, by far. Sometimes, the best results come from taking your mind out of the equation and just pushing the button. 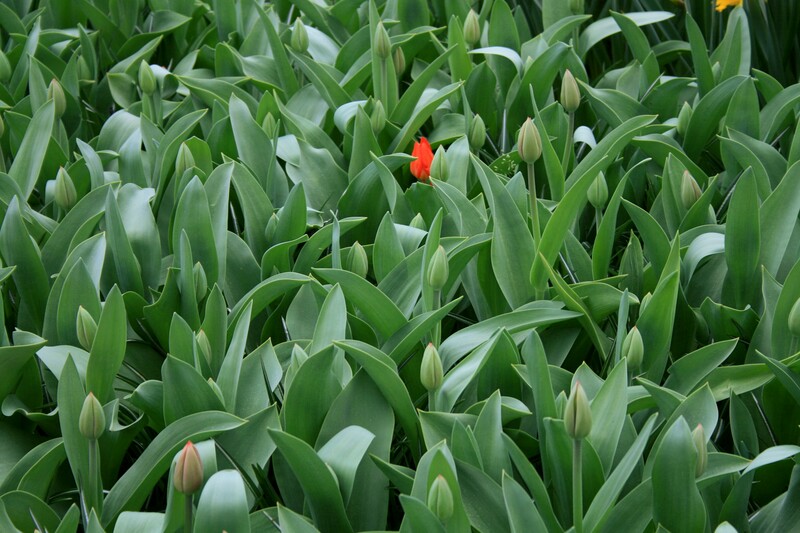 There were an impossible number of tulips at our visit to De Keukenhof in The Netherlands. So many, that after going through the pictures I swore to never take a photo of a plant again. The lighting was terrible, the angles were kind of hard for me to figure out, but it was beautiful and a good stretch of my abilities framing shots and post-processing (fixing color in photos shot in overcast light is a lot of work). Most of the photos I took are an overload of color, at least for me. This one gives my brain a rest. I drove two and a half hours to Sperlinga to see a castle carved out of a mountain, and I think my favorite picture of all of them is one of a couple of rusty old road signs. 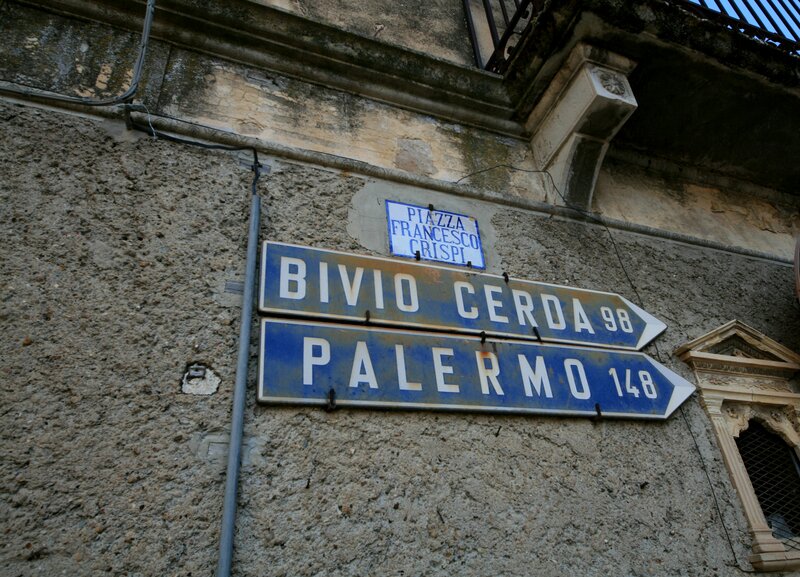 I love the old 50’s stylized Italian font; it evokes visions of puttering through the countryside in an old FIAT, only 148 kilometers to Palermo. Back then, that was probably a multi-day trip that almost nobody bothered to make. 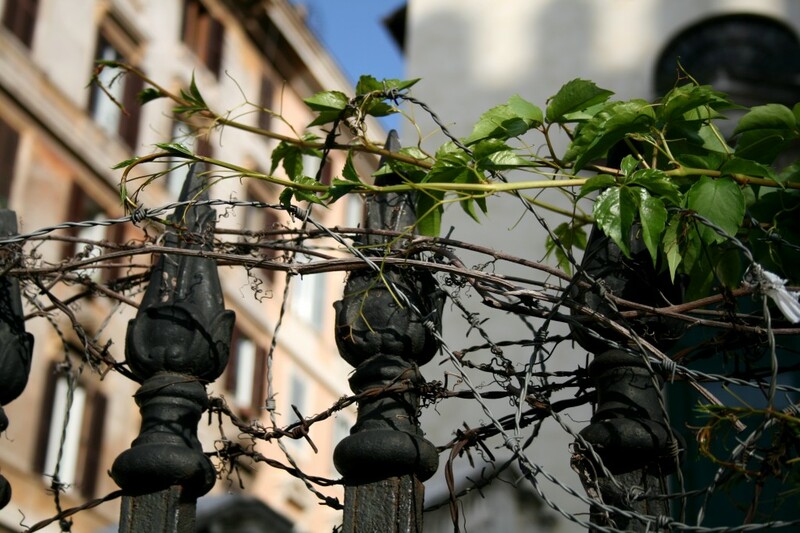 A wrought-iron fence capped with barbed wire and barbed plant. This old church in Rome clearly didn’t want any visitors. I like the juxtaposition of man-made and natural barriers here, and of course, it wouldn’t be a picture of Italy without a little bit of garbage hidden somewhere in it. Can you spot it? During my 24 hours in Rome, we walked all over, past the Roman forum, the Colosseum, the Pantheon, and a ton of coffee shops. 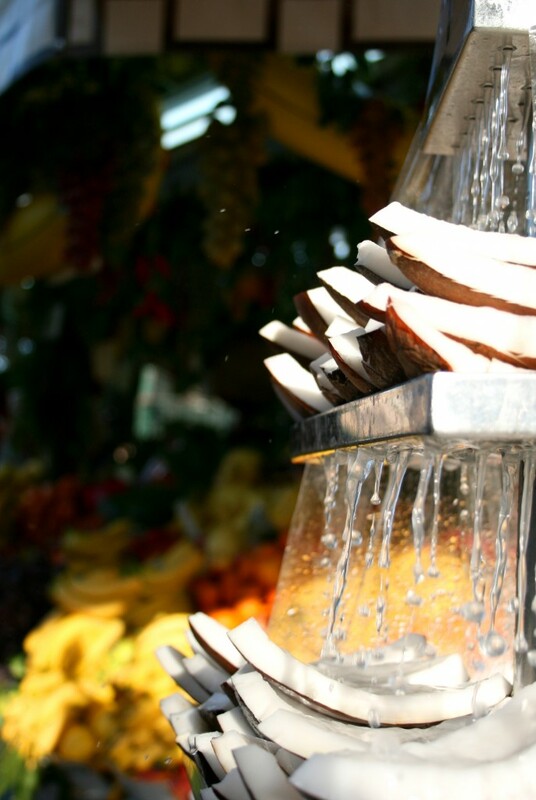 On a random streetcorner was a man selling fruit, and these coconut wedges. I have no idea why coconut needs water flowing over it, but it made for a fun picture. The narrow depth of focus shown here forcing perspective is one of the first photography “tricks” I learned. Before I got into photography, I always wondered how they did it, and once I realized it was so easy, I dang near wore it out. I don’t do this kind of shot nearly as often as I used to, and that’s a good thing. But sometimes it just seems appropriate. 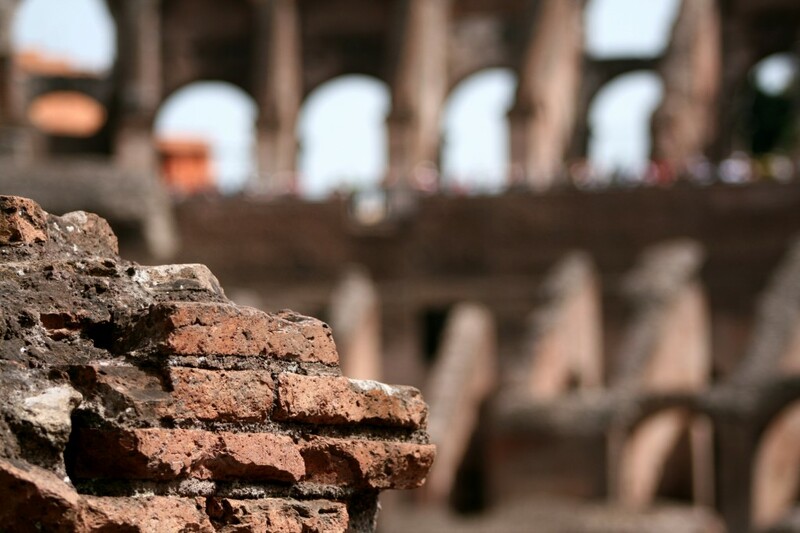 Having the recognizable shape of the Colosseum blurred in the background reminds me of the literally awesome sight that is the Colosseum. It’s easy to get lost in the enormity of the structure, but it’s important to take in the details as well. 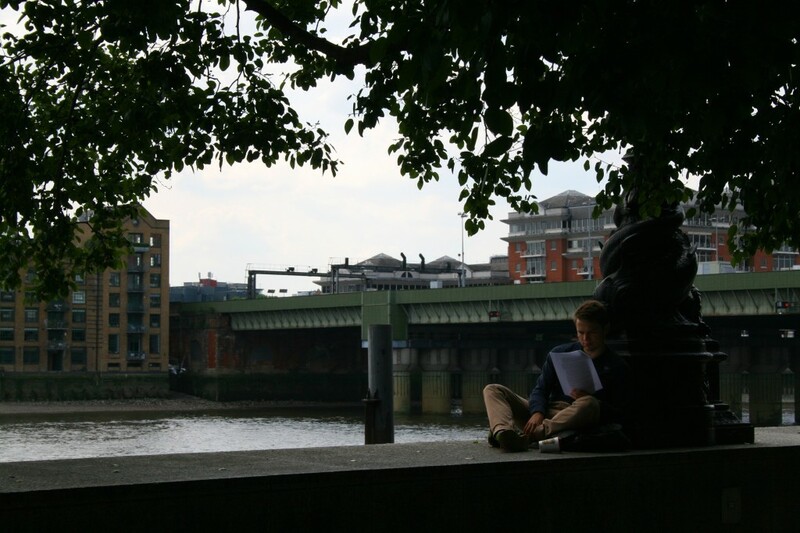 In big cities like London, finding a place to get some alone time to focus can require some creativity. This gentleman chose a picturesque view of the Thames river amongst the tourists, joggers, and other people. This photo is a great example of why I like cities so much. Everyone living their life in full color, out in the open. There’s always so much going on around you, that you never know what you’ll see. I would feel no shame in putting nothing but photos of Ortigia in this post. They say you never forget your first love, and as far as Italian cities go, Ortigia will always be my favorite. Our grand adventure in Sicily started here, and I still get emotional every time I think back to this place. We only spent one day here in 2014, but the livelihood of that city provided a month’s worth of memories in that one day. 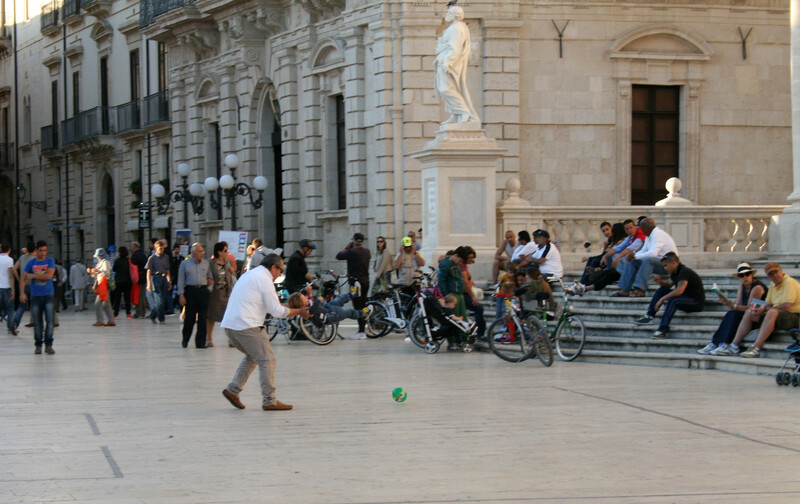 I was particularly taken by this photo of grandfather-and-grandson kicking a ball around in the piazza. That little boy will grow up to be one of the teenagers that I know are around the corner, kicking a soccer ball against the thousands-of-years-old Greek columns that hold up the island’s cathedral. Ahh, Sicily. Hong Kong is not a small city. But the way it’s pressed into the bay by the mountains behind it makes it look small. Small enough to fit in your pocket. 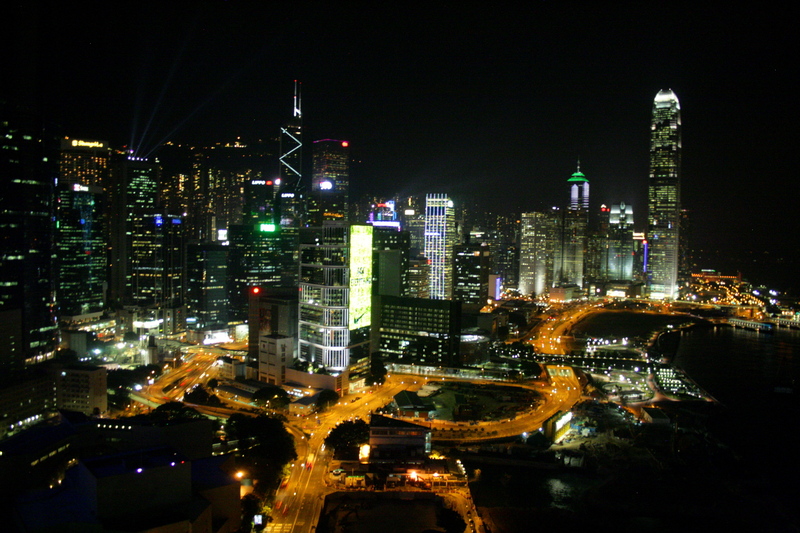 I always love a good cityscape, especially at night. The hardest part (other than holding the camera still) is getting the colors right. 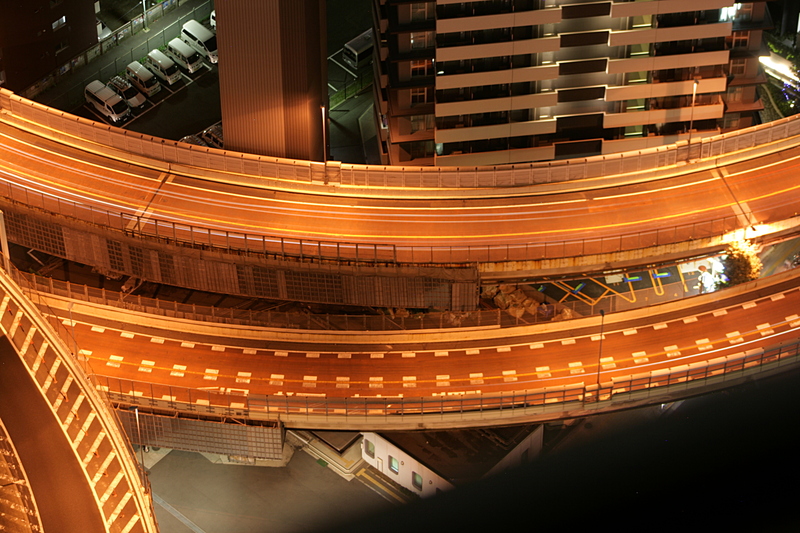 The contrast between the orange glow of the sodium lights and the crystal-clear intensity of the buildings themselves contradict when it comes to camera settings. Getting the two together in one shot was a nice surprise. 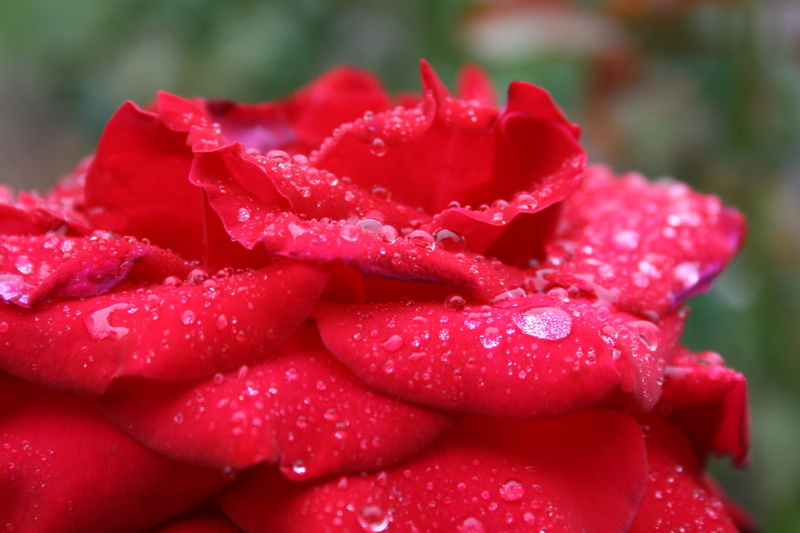 Well I wouldn’t be an aspiring photographer if I didn’t take a macro photo or two of roses with water on them. This is from a random trip to an assistencia, like an extension of a mission, here in San Diego. Nature provided the water droplets, and the lack of any interesting light meant that close-in shots were going to be the best option. 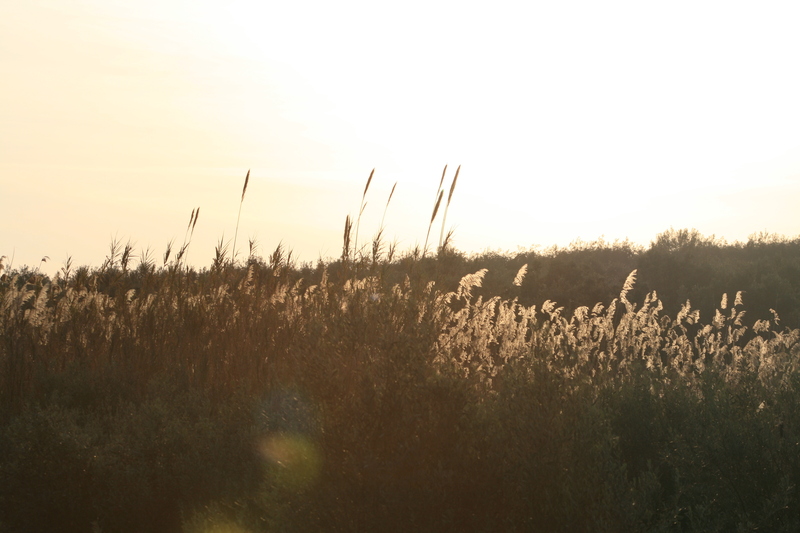 I love the sepia-toned images that come from photographing around sunset. 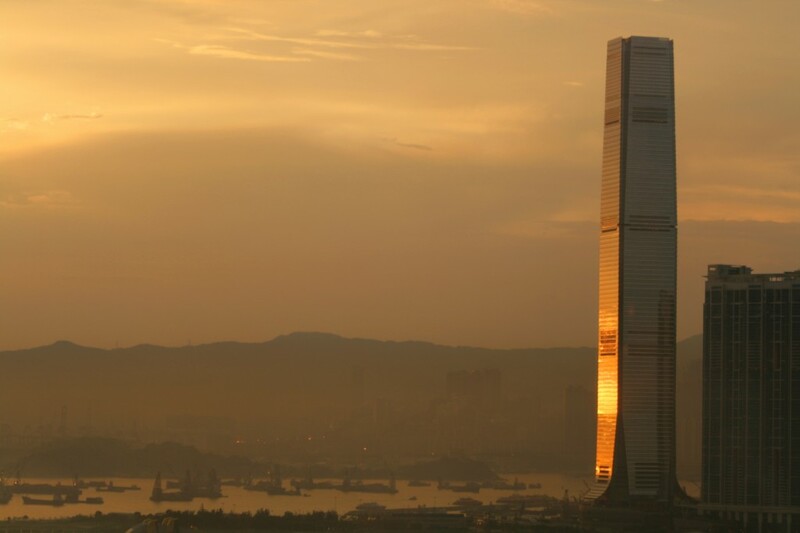 This image of Kowloon from our hotel in Hong Kong exemplifies the warm tones that you find at this time of day. 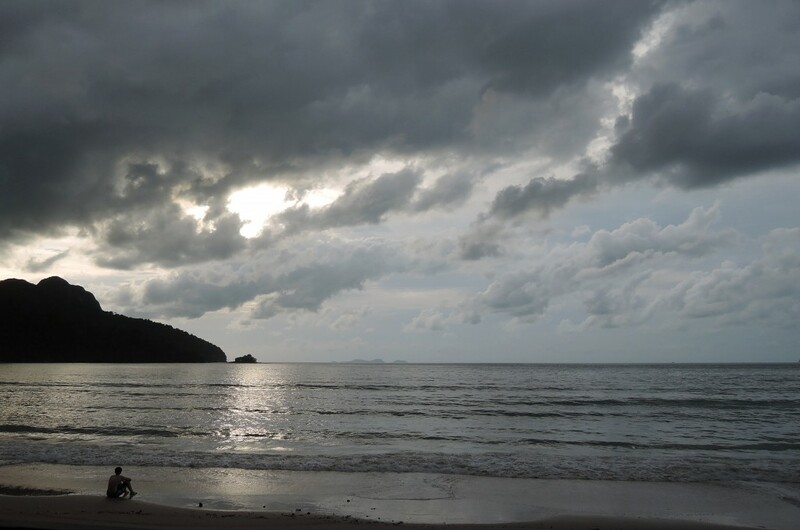 Monsoon season on Langkawi, Malaysia made for some very dramatic beach photographs. I like the framing on this one, with a man sitting just within range of the surf, looking out onto the ocean. 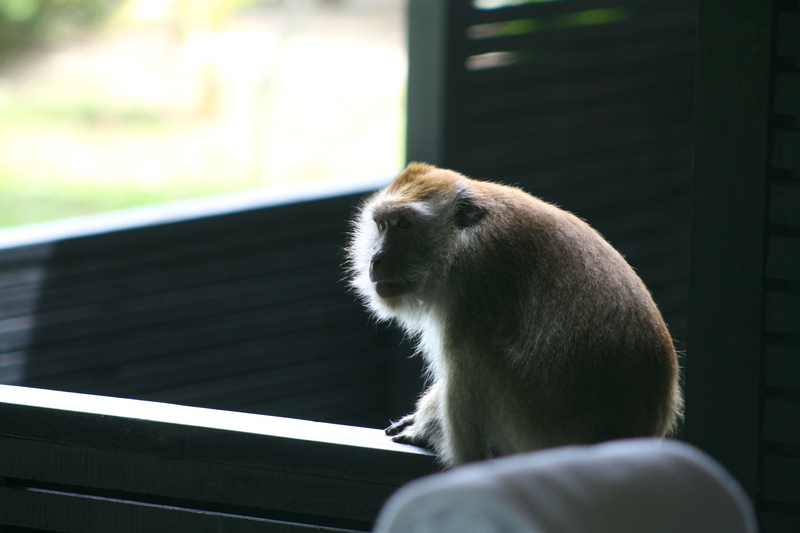 I never expected to see quite so much wildlife on our visit to Langkawi, but in the first five minutes we were in our room, we saw a troop of monkeys break into the room above us for chips and snacks. There were plenty of opportunities to take pictures of them, though they were rarely at rest. This one stopped to lounge on our patio long enough for me to get the camera out. 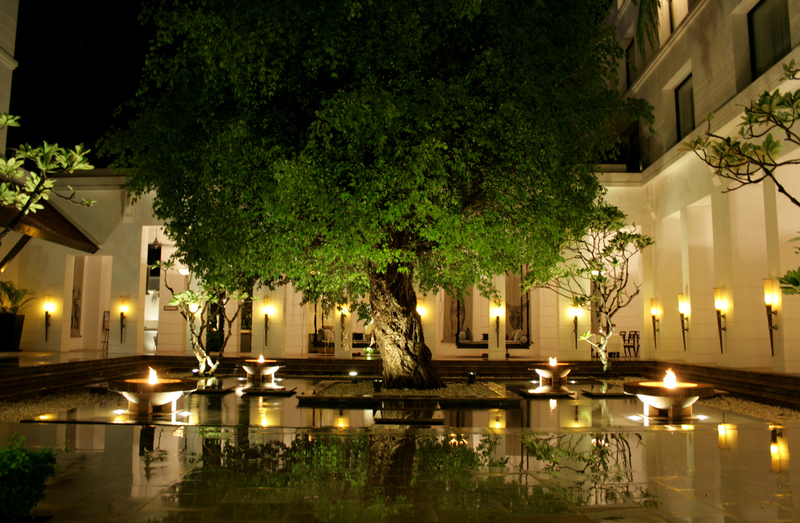 This is the courtyard at our hotel in Cambodia. We were sitting down having a cocktail after dinner one night, right across from this pool. On a whim, I rested the camera on the chair next to me, set a nice long exposure, and pressed go. Thirty seconds later, I had this. Not bad for being drunk on heat, humidity, and gin & tonic. Angkor Wat was exceptionally hard to photograph for a few reasons. One, way too many tourists, even in the peak of monsoon season and at the end of the day. Two, the immense scale of everything defied capture. I took a lot of photos of the outside, but it was the inside, detail shots that I felt turned out the best. 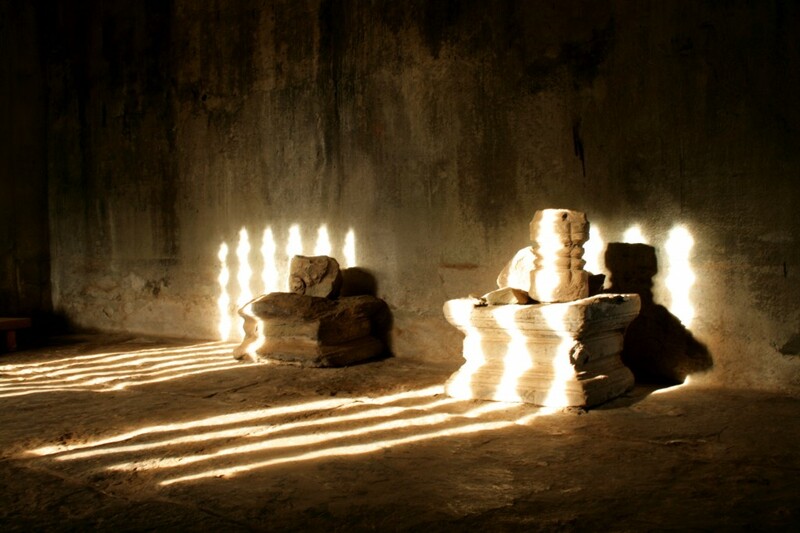 I love how the light shining through captures the shape of the stone “windows” onto these artifacts. I made bridges a central theme on our last trip to London with Heather. Some turned out okay, some turned out good (like my photo of Tower Bridge), though Heather spotted that angle so I probably shouldn’t take credit for it. 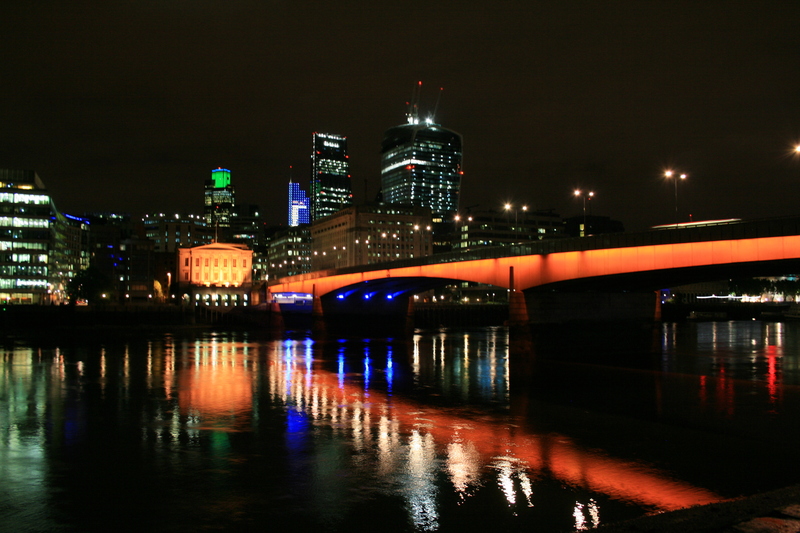 This photo of London Bridge is the best of all of them. I love the colors of a city at night; this photo has pretty much all of them. I took a ton of pictures during our trip to Japan, and of course the most plain one turned out to be one of my favorites. 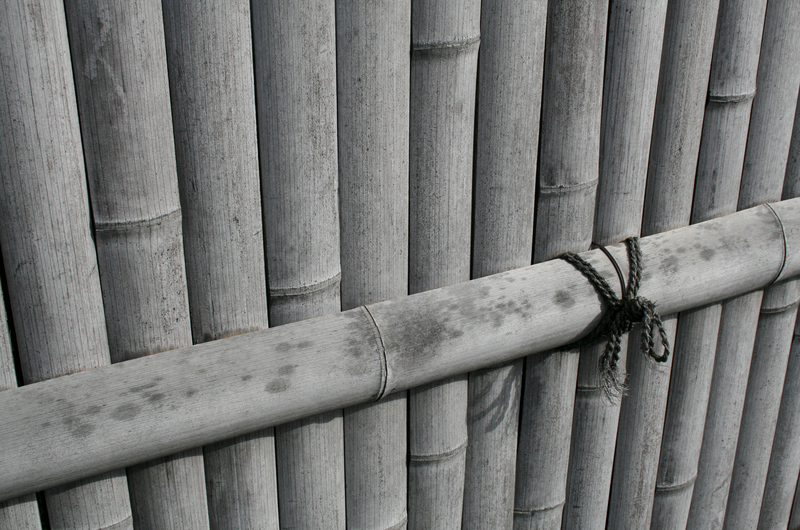 This bamboo fence cordoned off a restoration area at one of the castles we visited in Kyoto. For me it’s a great example of what makes Japan so amazing. If you’re scratching your head at that comment, just think about what a construction fence would look like anywhere else in the world. This is actually a color photograph of a monochrome object. It happened to be mostly cloudy that day, so the diffuse light with just a hint of shadow really makes this an intriguing shot, I think. Fushimi Inari has long been a frustrating photography subject for me, mostly because I was so embarassed by my total failure to take clear photographs the first time we visited. I’m glad I got the chance to come back and experiment. 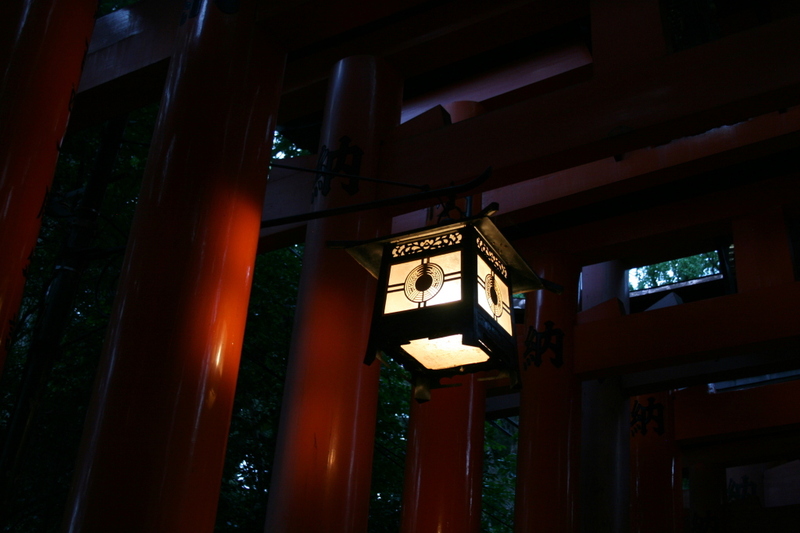 I like the contrasting light and shadow, the interesting cast of light onto the orange of the Torii gates. I think Tiffany has already scoped out a place on the wall for this one. I had a lot of fun experimenting with angles from the view from our hotel, and this shot turned out one of the best. Yes, I know you just looked at this photo a couple days ago. I still like it. 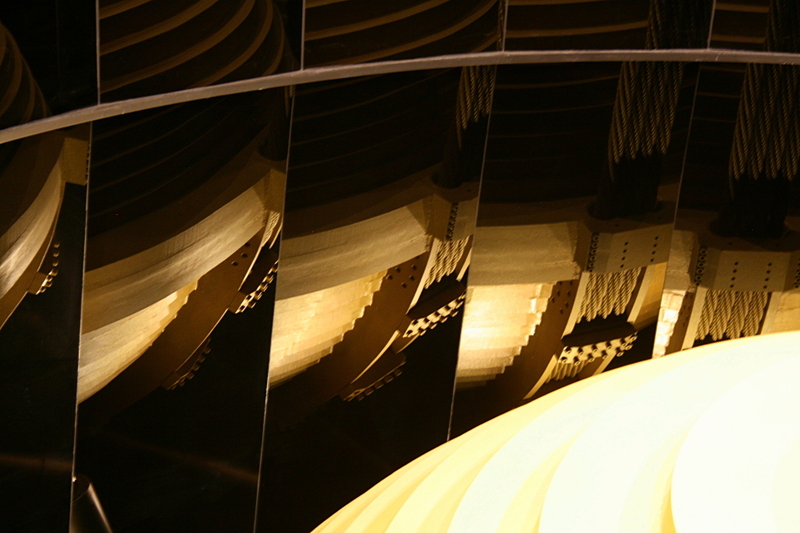 The mass damper at the top of Taipei 101 was built to be shown off. I almost wish I could get those reflections as a series of five photos; that would be a really cool architectural series. I’ll settle for this one, though. Well, those are my favorites. What do you think? Which one is your favorite? Let me know in the comments! 8 Responses to "Favorite Photos of 2014"
Nick, there are all outstanding, but my favorite is Cliche, then Tranquility. All very talented work! Merry Christmas to you and Tiffany. 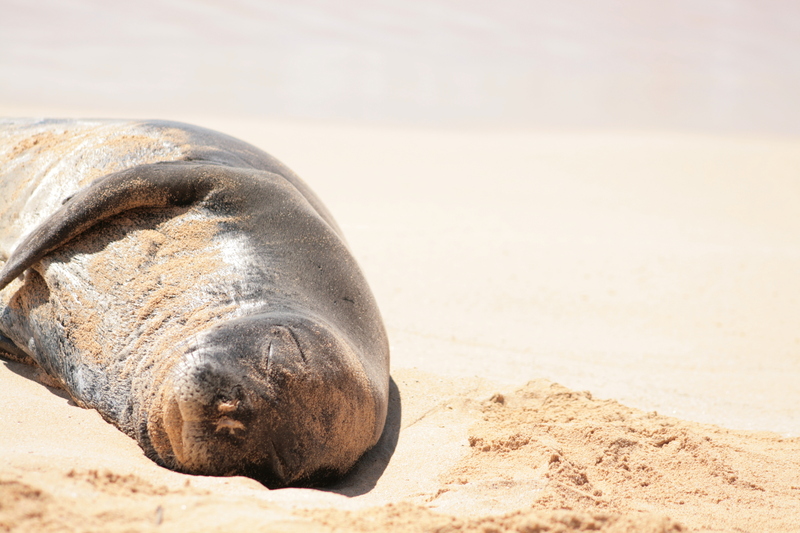 Can’t wait to hear about your travels in 2015! Merry Christmas to you as well! I’m glad you enjoyed these, and thanks for reading! I always enjoy reading your comments. Nick, these are all fantastic. 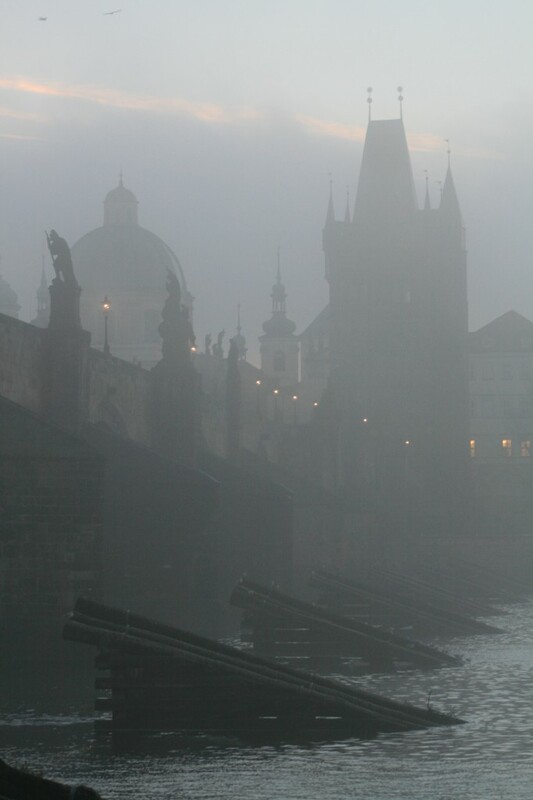 If I had to pick an absolute favorite, it would be Refresher, and a second choice would be Charles Bridge. Since I can’t copy any of the photos you and Tiffany post here and on Instagram, may I borrow your memory sticks to have a photo book created? It’s either that or cover all the walls in my entire house with large prints! Well, if the new wall construction doesn’t work out, I liked your photo book idea! There would be many I would have to choose as a favorite. I agree with Jackie though, that Cliché and Tranquility are both beautiful. I would love to have large pictures of both on my walls. Your pictures linked to Ortigia brought a lump to my throat. I don’t know if it’s because it was our first visit to Europe or because we spent so much time there. I’m glad you posted your favorites and your explanations. They are all wonderful. Mom, let me know which ones you want and I’d be happy to send them to you! I hear you about the Ortigia photos. I get the same reaction when I think about that place. I miss it a lot.